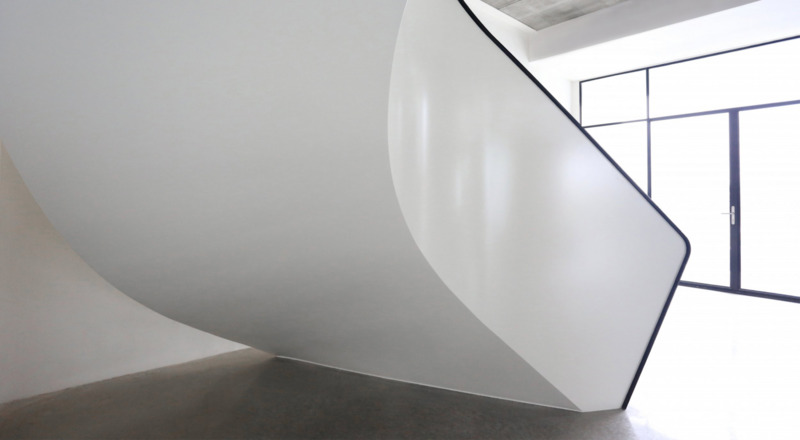 A feature staircase was required for bathroom product manufacturer Sanibell’s new headquarters in the Netherlands. 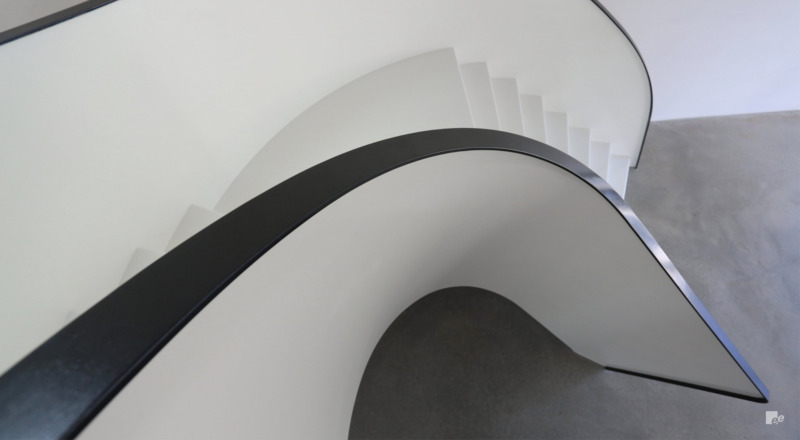 The resulting helical staircase is finished in EeStairs’ smooth EeSoffit finish and coloured in black and white - a scheme which runs throughout the space. 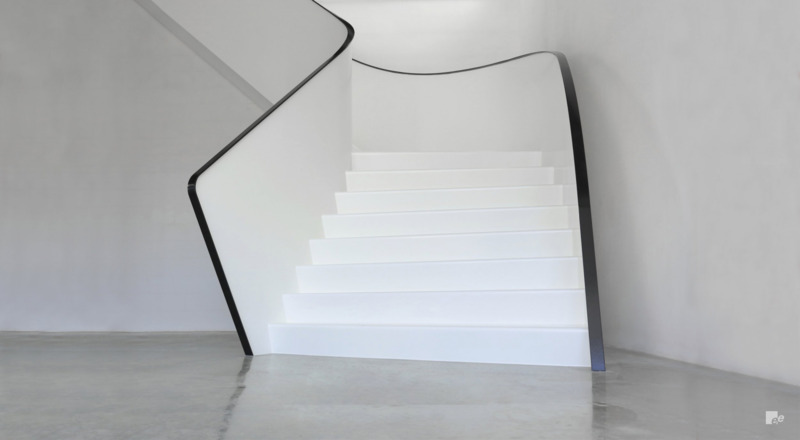 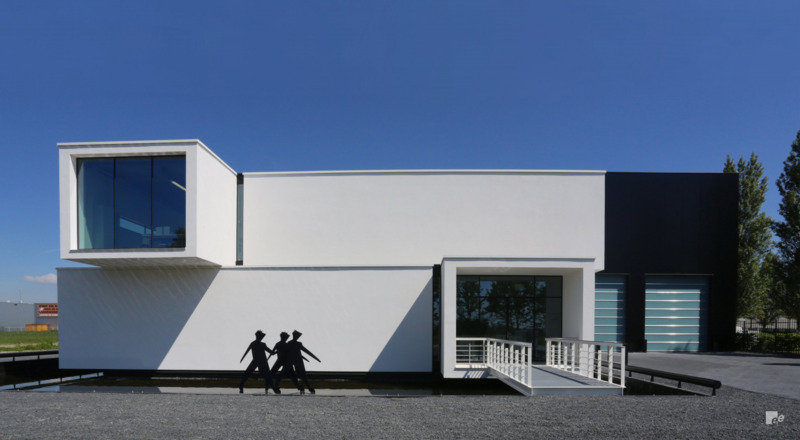 EeSoffit is a pioneering material with many advantages; as a surface it is strong and durable, easier to apply than plaster and damage resistant.